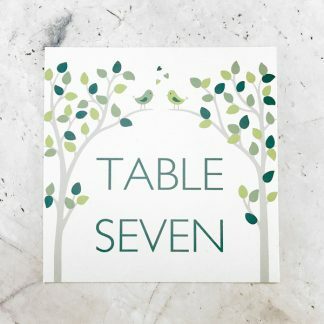 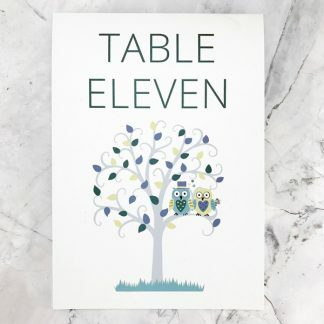 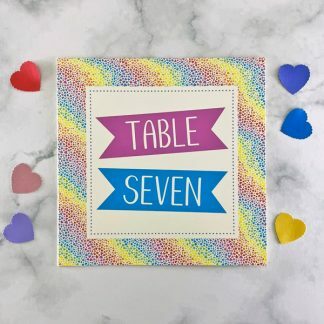 Wedding table names or numbers to display on wedding reception tables. 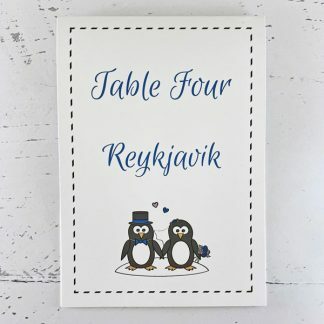 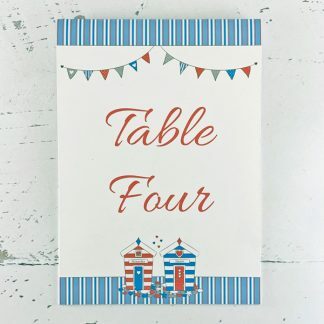 They can be used in conjunction with seating plans in order to direct guests to the right table. 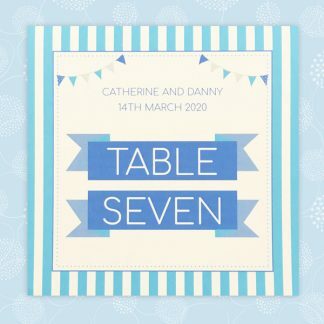 Each of these personalised wedding table number cards is double sided, with a fold at the top and the design printed on both sides. 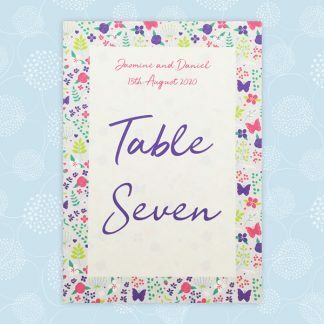 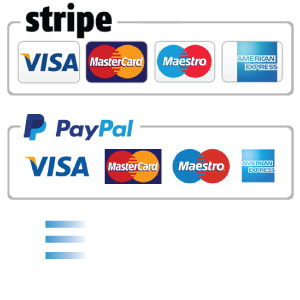 They are made from 300 gsm white or ivory card, with a smooth or textured finish. 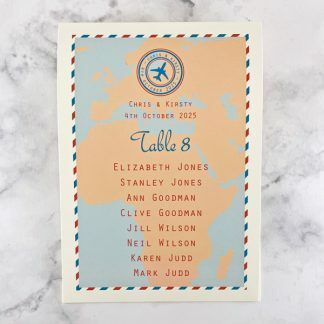 The design is printed using pigment ink so they can cope with a stray drink!